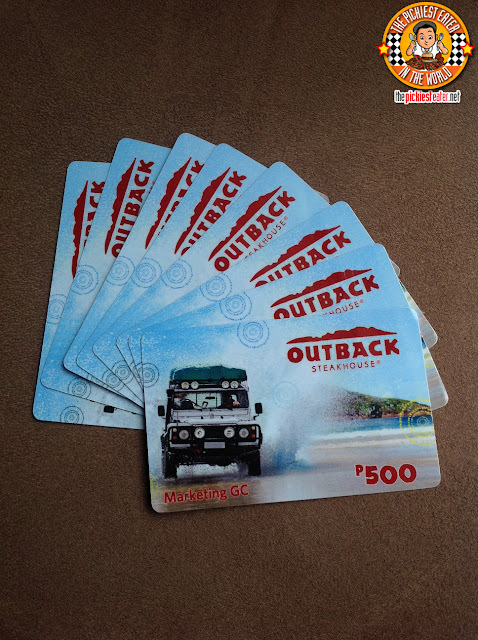 THE PICKIEST EATER IN THE WORLD: THE PICKIEST EATER'S ANNIVERSARY GIVEAWAY #3: OUTBACK STEAKHOUSE! I've been to Outback already twice this past year.. The first time was to try their Lunch specials, and the second time was to take Rina and Rain out for a nice Sunday lunch. Now, I would like to offer two readers a chance to feel the Aussie Steakhouse experience for themselves! For your appetizers, you MUST order The Typhoon Bloom! I thought the Pan Seared Fish in Pesto Linguini was amazing! 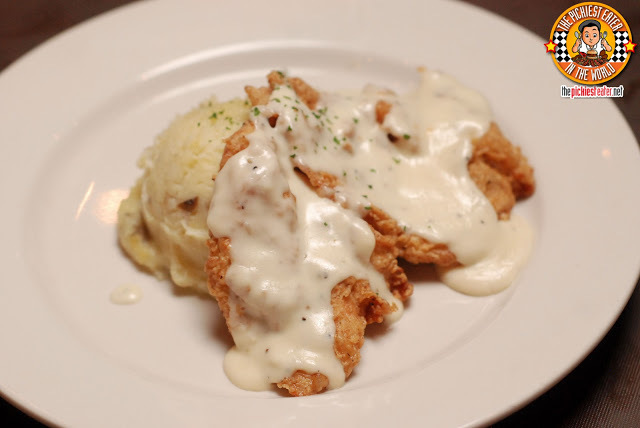 If a pasta is too light, you can always go for their Chicken Fried Chicken! I think the Full Slab of their Baby Back Ribs will be just fine..
Their Dessert Sampler is the best way to end the meal! You can go through their menu to find something else you might like! I' excited to try their Typhoon Bloom, and of course their Full Slab Baby Back Ribs! I'm excited for the Herb Crusted Rib-eye and the full slab of Baby back ribs as well as the Dessert Sampler - super yummy! im excited to try all of them! I havn't been to friday's for ages! I guess I wanna try their Full Slab Baby Back Ribs again. I want to Try the Full Slab Of Baby Backribs!!! I want the full slab baby back rib. Excited for the Herb Crusted Rib Eye! Would love to try the herb crusted rib eye!!!! 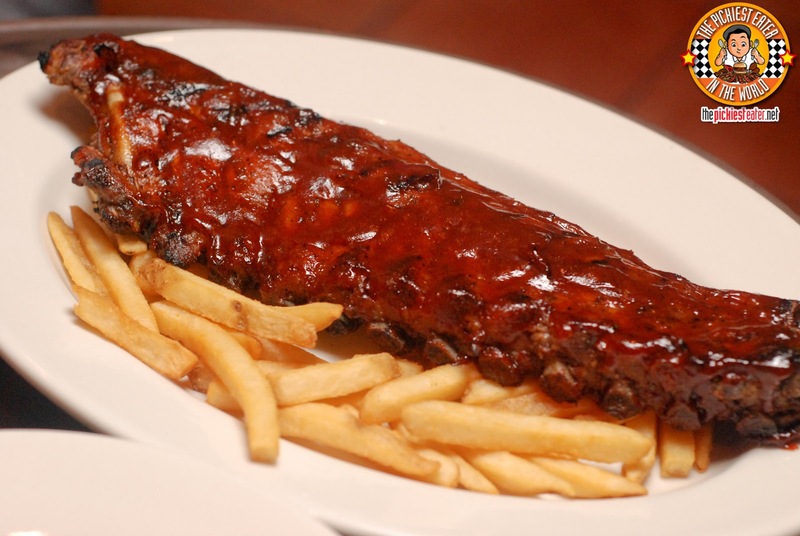 The full slab of baby back ribs looks mouth-watering! I'm excited to try the Pan Seared Fish in Pesto Linguini and of course their Full Slab Baby Back Ribs! I'm dying to try the Typhoon Bloom and their ever famous Herb Crusted Rib Eye. Yummy!!! Excited to try their Herb Crusted Rib Eye!!! I WANT TO TRY the chicken fried chicken, victoria's fillet and mostly the herb crusted rib eye! baby back ribs on full slab ! the BABY BACK RIBS!!! woooh! that'd be my baby from now on!!! I hope to win this prize! baby back ribssss!!!! My husband would love the herb-crusted rib eye; I would love the Baby Back ribs. Yum! Baby Back Ribs! Want it so bad. Excited to try the typhoon bloom and the baby back ribs! i wanna try baby back ribs! Herb Crusted Rib Eye looks soo tempting!!!! It's the Typhoon Bloom, Chicken Fried Chicken and Herb Crusted Rib Eye for me! I would love to try that Pan Seared Fish in Pesto Linguini! Yummy!! I think their Typhoon Bloom appetizer is really a must try! I really love potatoes! Love to try their Herb Crusted Rib Eye and the Pan Seared Fish in Pesto Linguin, yummy!! Baby Back Ribs of course!!! everybody loves it!!! Definitely the baby back ribs and the dessert sampler! I'd love to try their herb-crusted rib eye! I want to try the Herb-crusted rib eye! I'm very much excited to try their Very own Herb Crusted Rib Eye and since I'm a sweets and dessert lover I'm surely not going to miss their Dessert Sampler! Craving for Full Slab of their Baby Back Ribs! I'd love to try the Pan Seared Fish in Pesto Linguini! That Steak looks extremely delicious. I'm Craving for those Herb Crusted Rib-eye and the full slab of Baby back ribs as well as the Dessert Sampler - best treat for my upcoming birthday hehe! I would really love to try Pan Seared Fish in Pesto Linguini! Healthy yet satisfying! I am not familiar with this resto and I haven't even seen one. Well, I am not really adventurous so I seldom discover good places to eat. Good thing Pickiest Eater is here where I could not only discover new places to explore, I also get to read reviews of what's good and not. 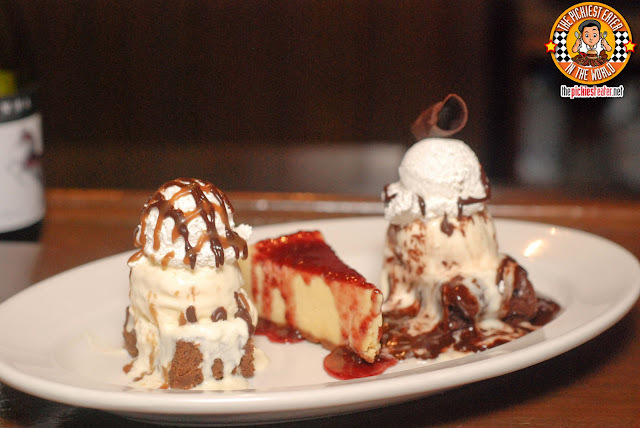 If I win, and I hope I will, I would love to try Pan Seared Fish in Pesto Linguini and their Dessert Sampler! But if the GC is enough for all the dishes you recommended, I would try them all, of course. And I also want to share it with my family. It will always be best to dine in with you loved ones, right? I want to try the Herb Crusted Rib Eye steak! yum yum! I'd like to try the Pan Seared Fish in Pesto Linguini looks yummy!! I want to try their Baby Back Ribs! I definitely want to try the full slab of Baby Back Ribs! Full Slab of their Baby Back Ribs will be just fine. Oh my oh my i wanna try the Herb Crusted Rib Eye! I want the herb-crusted rib eye! anything with ribs is fine with me! I'll try anything from the menu.. heck, I can't even afford going to Outback without a GC! 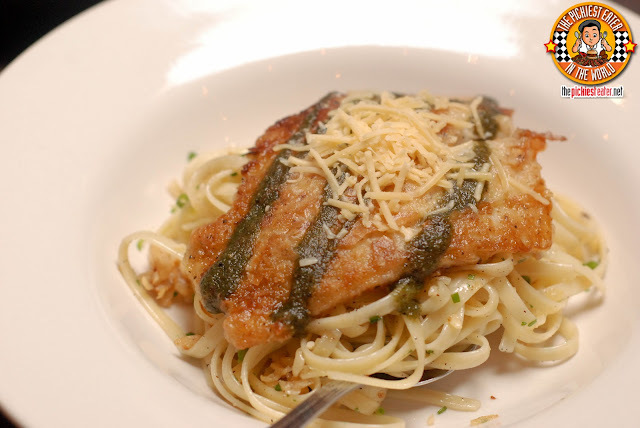 The Pan Seared Fish in Pesto Linguini looks mouthwatering, without the guilt, so I would definitely try that dish out! I want to try Pan Seared Fish in Pesto Linguini and also Back Baby Ribs. I'm so excited to try Outback Sea's Crispy Shrimp Caesar Salad and Outback Special. I'm hoping to win!. Good luck and God Bless us all! That Full Slab of Baby Back Ribs looks yummeh! 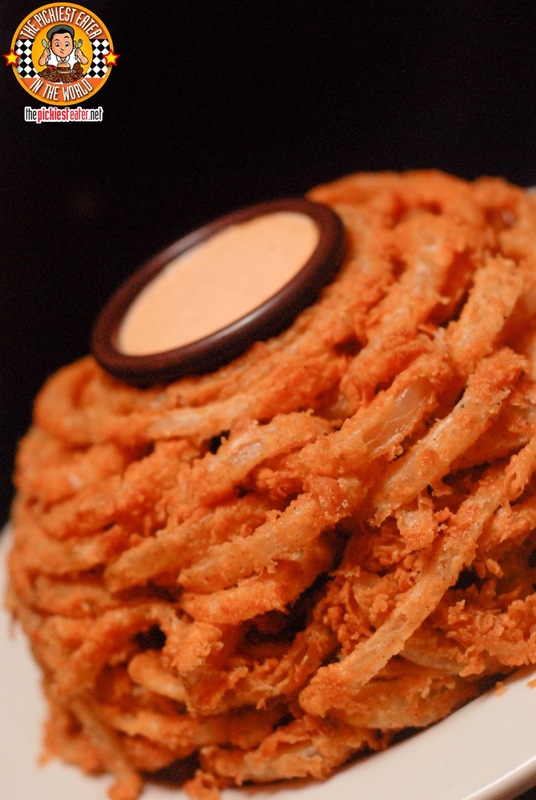 I'm addicted to onion rings and want to try their Typhoon Bloom and of course, the full rack of ribs!!! I Love to try the Full Slab Baby Back Ribs and Herb Crusted Rib Eye. I'm excited to try the Herb Crusted Rib Eye & the Typhoon Bloom. Yum yum yum! Baby Back Ribs Full Slab. i love to try Full Slab of their Baby Back Ribs! Chicken Fried Chicken and Baby Back Ribs OMG! first time to join tweeter because of this! Herb Crusted Rib Eye!! look so yummy! That rack of ribs is making me salivate! I love to try their Baby Back Ribs, it looks so yummy and tasty ;) mouthwatering! 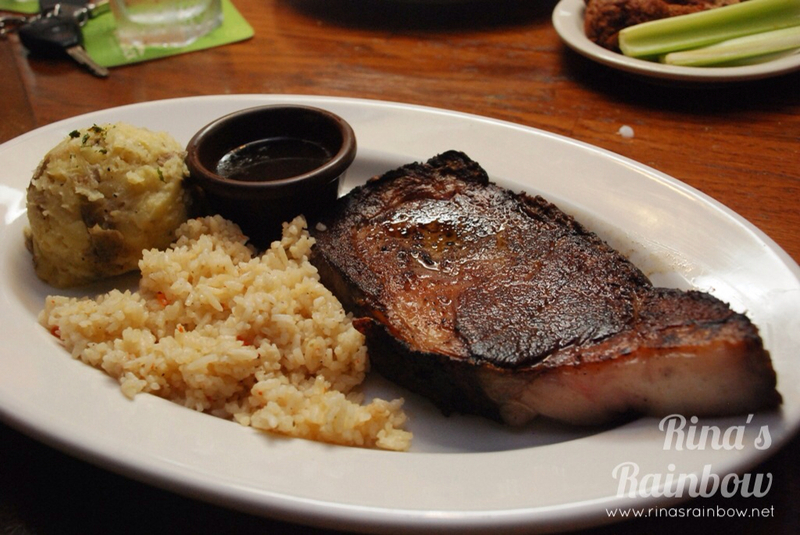 I love to try their Herb Crusted Rib Eye! Thanks for this wonderful giveaway! Hope I'd win! Im excited to try the Herb Crusted Rib Eye! Im excited to try Outback's Herb Crusted Rib Eye!! I'd love to try the full slab baby back ribs and chicken fried chicken! !